Patti and I shared so much over the twenty-four years we were together: her paraplegia, raising our son, lots of adventure, laughs, and love. When she died in a horrible accident, I had to face a completely new life and approach it day by day. 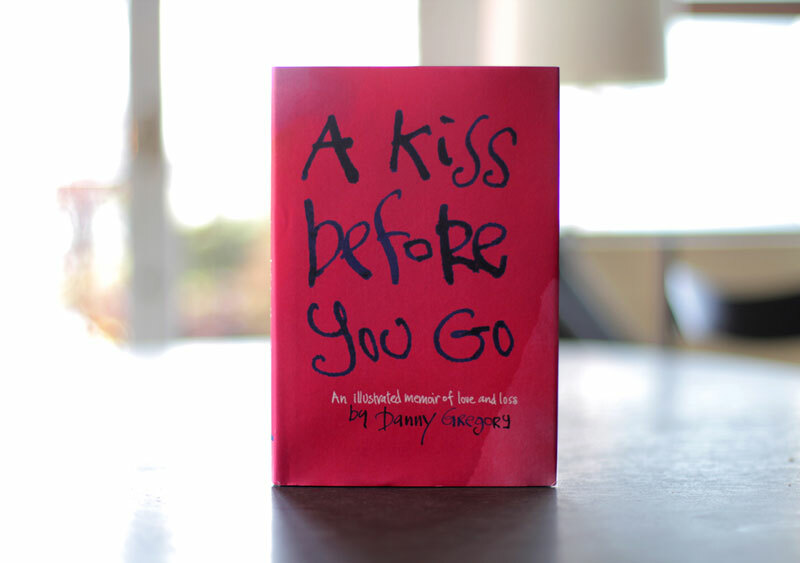 A Kiss Before You Go is an illustrated record of our years together and my first year alone. It covers sad events but ultimately it’s a book about loving and living, about beauty in its many shades. I hope reading it brings as much to you as writing it did to me. If you’d like to learn more about the making of the book, please read the many posts I wrote about it as it came out. You can order A Kiss Before You Go on Amazon. I could never imagine someone close to me dying, but this book made feel like I’ve lost someone important to me. Great writing! Still reading…. I read this whole book in one day. I lost my husband of 30 years in March 2014 so my first 12 months of grieving are nearly over. I just wanted to thank Danny for sharing his everyday honest thoughts as he went through the process. It is a different experience for everyone but some aspects can be similar. I had been a mixed-media art journaller in the years i was caring for my husband and now because of Danny’s and other books i am now going back to embracin my artistic cravings without guilt and express a number of residual emotions.